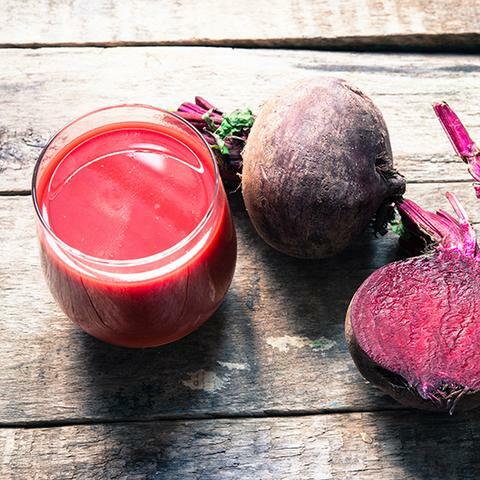 This juice is loaded with cancer-fighting antioxidants. Garlic is a good immune booster and had a warming/oxygenating effect on the blood. Ginger is good for mental clarity and digestion. One of my dear friends, who has been juicing for many years turned me on to this recipe. I was shocked to find out his real age, if it has anything to do with the juice I am now a firm believer in the fountain of youth! Cheers to your health! I have a Juiceman with a low and high speed. I usually use the high speed for dense veggies like beets and carrots and the low speed for softer veggies like celery and cucumber. Wash your veggies well and rinse them free of any dirt or critters. I juice the beets, garlic and carrots first then add the cilantro and parsley followed by celery. The juicy celery helps to get the most out of the drier greens and clears the juicer out. Drink immediaetly or store in a air-tight container for the next day. Fresh un-pasteurized juice does not keep for long so enjoy within a day of juicing. If you have a sensitive stomach omit garlic and add green cabbage. For an alternative you can use fresh tomato instead of beet. Happy juicing!